Start Time: Sunday 8th July 2018. Meet at 09.45 am for 10.00 am start. Please note that we meet at the end of the walk at the White Horse PH in Forest Hill postcode OX33 1EH in order to transfer to the start. Start: having transferred by car from Forest Hill, we start the walk from the Green at Tetsworth , close to the Old Red Lion PH (postcode OX9 7AS). Parking in side streets off the Green is free. The walk is linear from Tetsworth to Forest Hill, so for this walk we will all meet at the end point and transfer to the start in a few of the cars, leaving at least one to enable the drivers to be ferried back to the start. This is a lovely walk that passes through – amongst other pretty villages – the delightful village of Rycote, missed out on the last walk and famous for its Chapel (see picture). Difficulty: Leisurely – 9.8 miles. A shorter walk (approx. 6.4 miles) can be completed at Waterperry, and we can leave a car there. Please contact walk leader for details. Leaders: Janet Ewart M: 07530 132285 E: janet.ewart1@btinternet.com and Ivy Model M: 07759 320338E: jandimodel@gmail.com. Waypoints: Start – From the Green in Tetsworth follow the Oxford Way footpath skirting the Oxfordshire Golf course and on to Rycote. From there follow footpaths south of Tiddington and through another golf course to Waterstock. 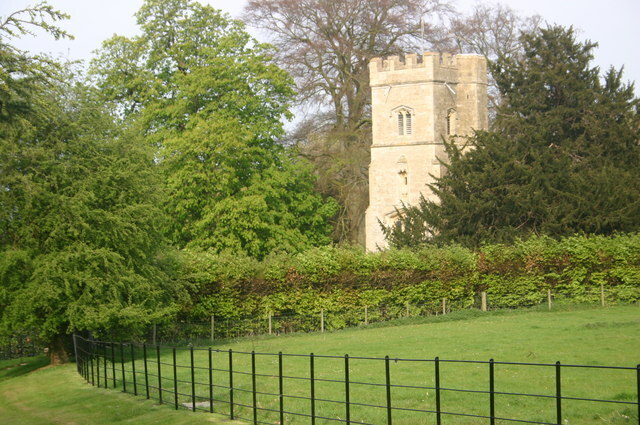 After crossing the Thames at the Mill at Waterstock follow the bridleway to Waterperry. Then head north-west on a dead-end road to Ledall Cottage and follow paths to Forest Hill – Finish. Getting there from Aylesbury – (Approx 18 miles): From Aylesbury follow A418 to Junction 8A on the M40, and then the A40 and the B4027 to Forest Hill. Getting There from Oxford : (Approx 5 miles): From Oxford take the A40 south towards the M40 and take the B4027 exit for Forest Hill.